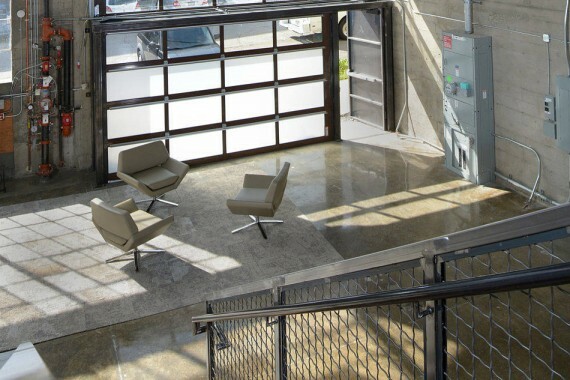 Previously named the Sunset Scavenger building, this office space is located in the Mission/Potrero Hill district in San Francisco. This is another space designed for a tech company. 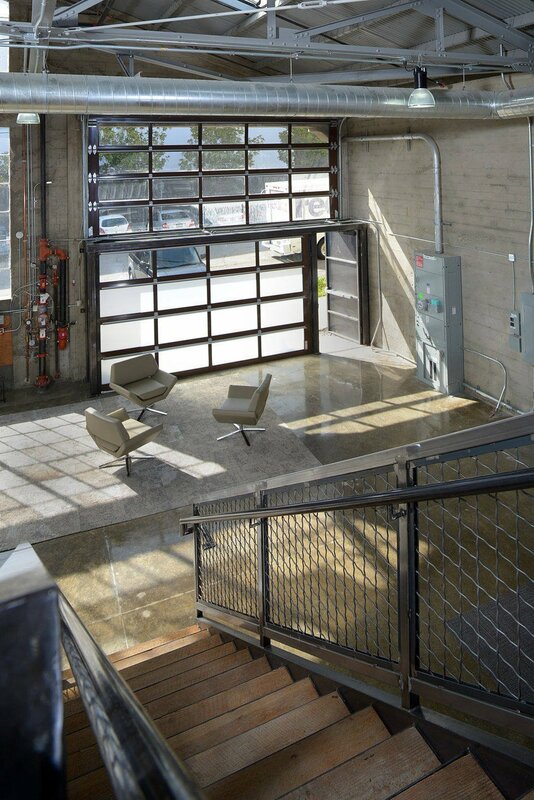 The clients wanted to get an industrial feel for the large warehouse space. 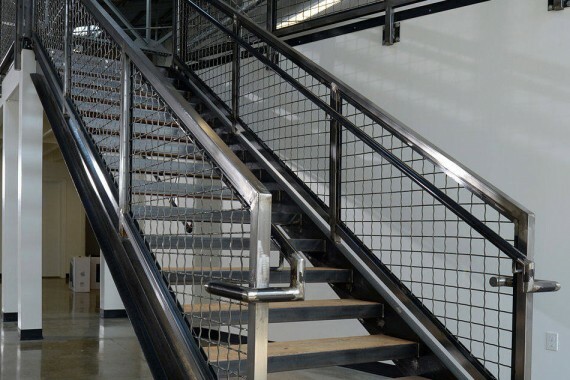 We achieved this industrial feel by sandblasting. 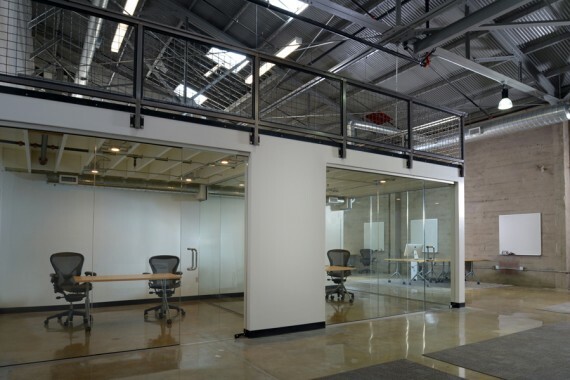 Despite such an industrial feel, the office areas have a sleek and modern look with glass walls and doors. 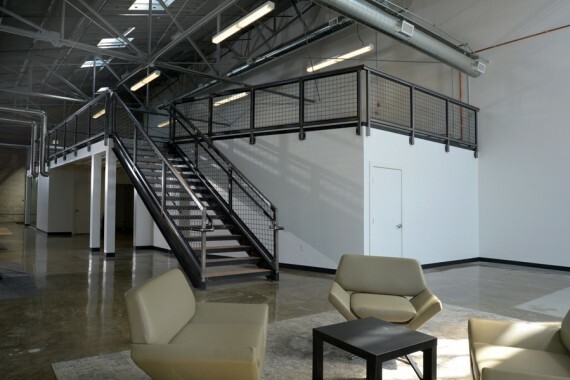 For this 10,000 sq ft project, we subdivided the building into two commercial spaces. 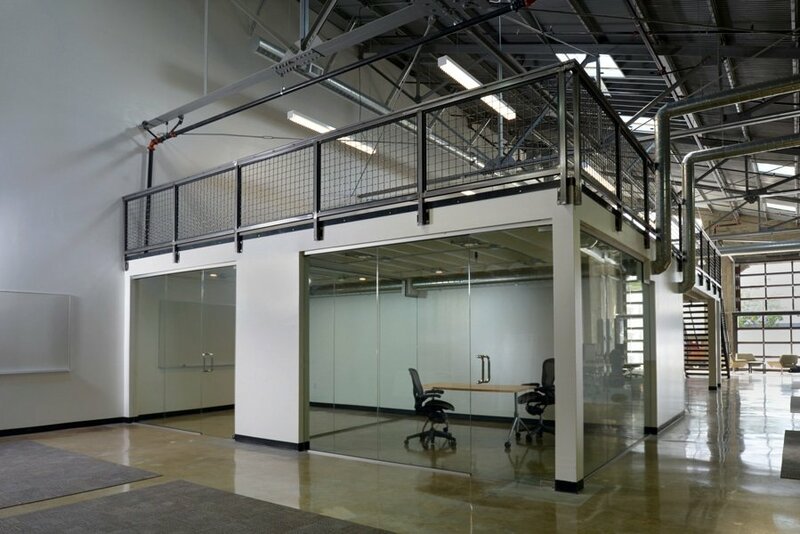 We built a 3,000 sq ft second story mezzanine, loft. 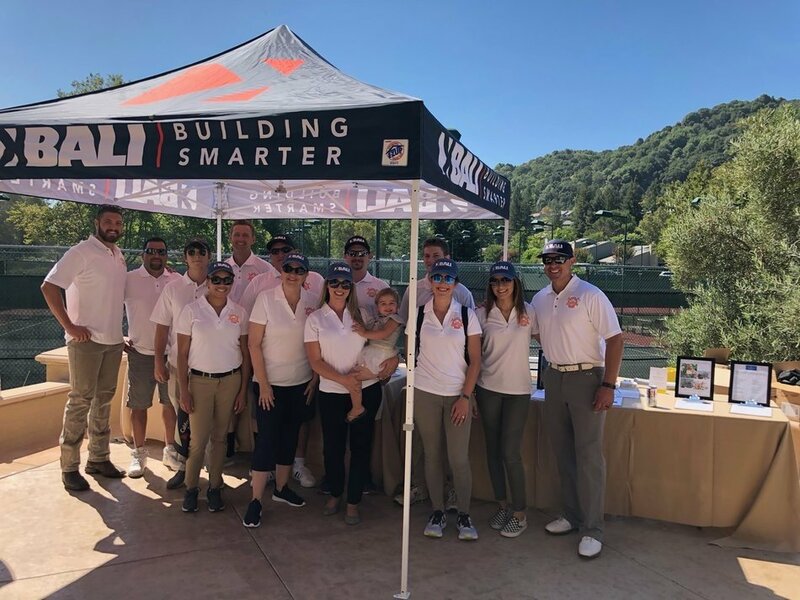 We installed metal trusses which hold up the existing roof along with new windows and some skylights to help with their energy bill. 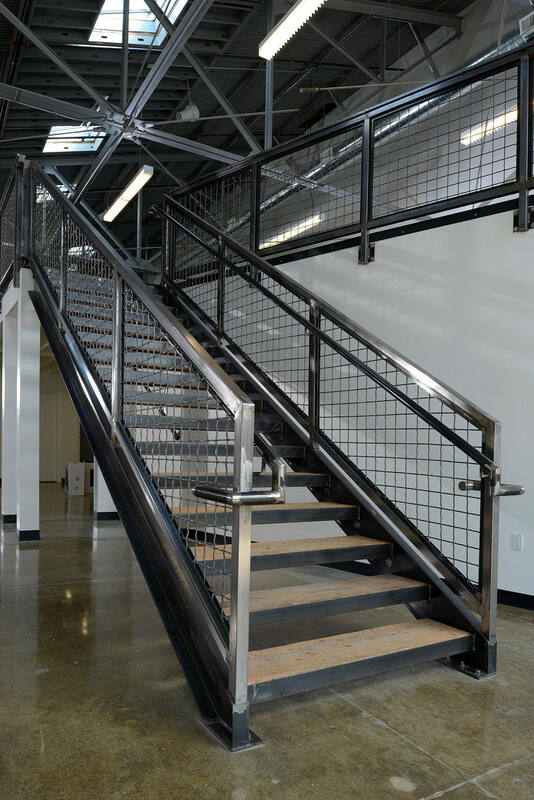 The details of this space were entirely custom-made: stairs are custom wood and have custom metal, ornamental railings, glass, concrete floors, metal/glass garage door. 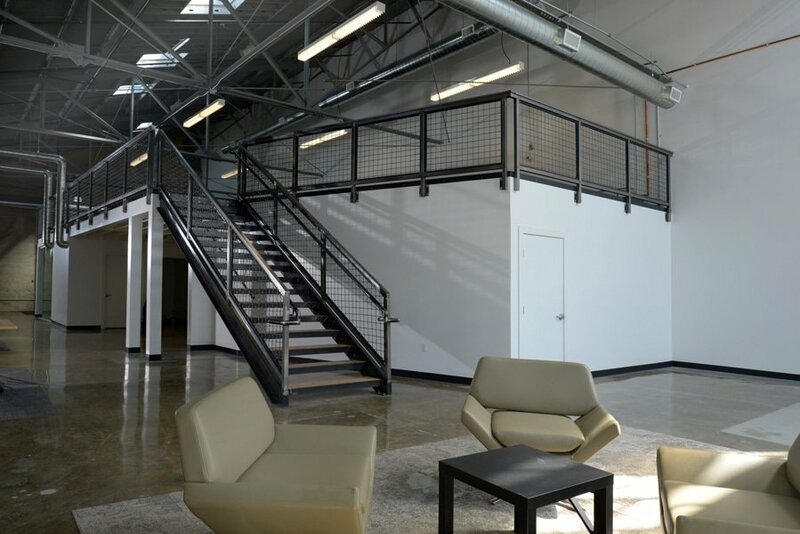 This space is complete now with a kitchen, bathrooms, energy-efficient LED lights, new plumbing, HVAC, fire sprinklers, and handicap accessibility.